Use Of Tanning Beds Common, Despite Cancer Risks : Shots - Health News But the most likely adult users, as you might have guessed, are women between 18 and 25. Around 30 percent of white women in that age group had used an indoor tanning machine of some sort in 2010.
Who's really hooked on tanning beds? Odds are she's young, white and lives in the Midwest. Figures just published in the Morbidity and Mortality Weekly Report paint a detailed picture of indoor tanning habits across the country. Overall, in 2010 about 5.6 percent of adults used a tanning bed, or other device that blasts UV rays at skin to darken it. Tanning sprays didn't count. But the most likely adult users, as you might have guessed, are women between 18 and 25. Around 30 percent of white women in that age group had used an indoor tanning machine of some sort in 2010. "I am astounded" by the results, Dr. Len Lichtenfeld, deputy chief medical officer of the American Cancer Society, told the Associated Press. People who go in for indoor tanning tend to do it quite a bit. About 58 percent of white women who tanned indoors did it 10 times or more in a year. For white men who tanned indoors, the comparable figure was 40 percent. Indoor tanning equipment that exposes a person to UV rays (not tanning spray) carries the risk of skin cancer. The frequent tanning sessions found in the survey increase the risk. "What tanning beds are doing is concentrating the same kind of rays that we get from the sun; so, you're getting a much bigger dose" than you would from the same amount of time outdoors, Memorial Sloan-Kettering Cancer Center's Dr. Allan Halpern, told Shots when we talked to him about an earlier study on the risks of indoor tanning. 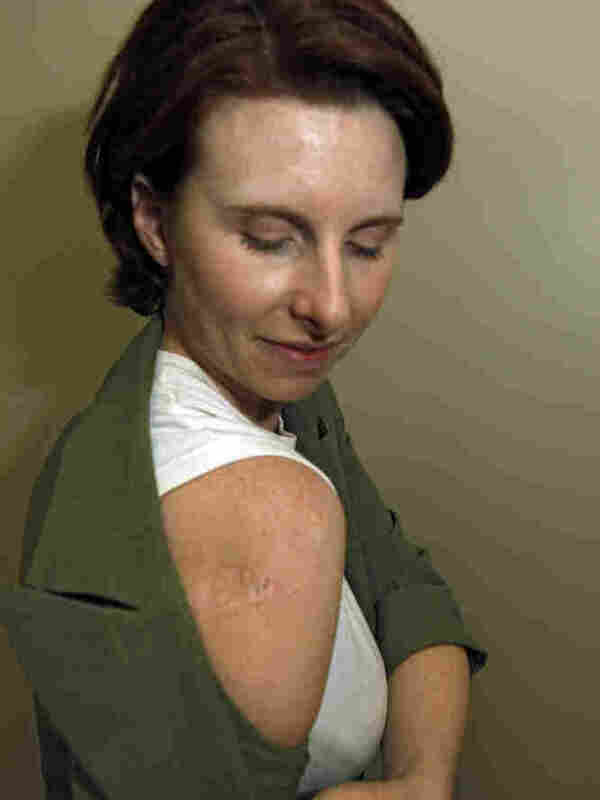 Melanoma, a type of skin cancer, is on the rise. And the increase in melanoma is greatest among young women, a point the researchers say could be related, in part, to tanning bed use. "Indoor tanning is particularly dangerous for younger users because indoor tanning before age 35 years increases the risk for melanoma by 75%," wrote the researchers, who are from the National Cancer Institute and the Centers for Disease Control and Prevention.